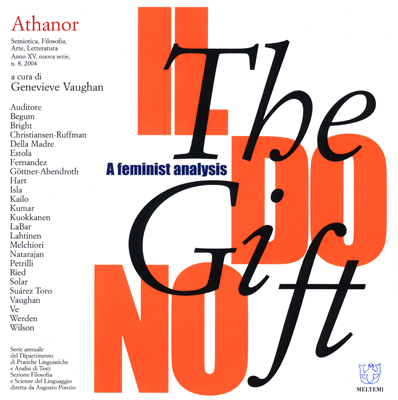 The Gift / Il Dono: A Feminist Analysis by A.A.V.V. A collection of essays about the gift economy by feminist scholars and activists. Edited by Genevieve Vaughan. Published in Italy in English by Athanor. To read book online click here.